When it comes to the offseason and the Dallas Cowboys it doesn't really stop. It's one thing after another. Free agent signings, trades, draft rumors, and contract extensions. Less than a week after getting DeMarcus Lawrence signed to a five-year $105 million deal, the front office sets its sites on Quarterback Dak Prescott. This week Stephen Jones spoke to ESPN 103.3 FM in Dallas and was asked about the negotiations. 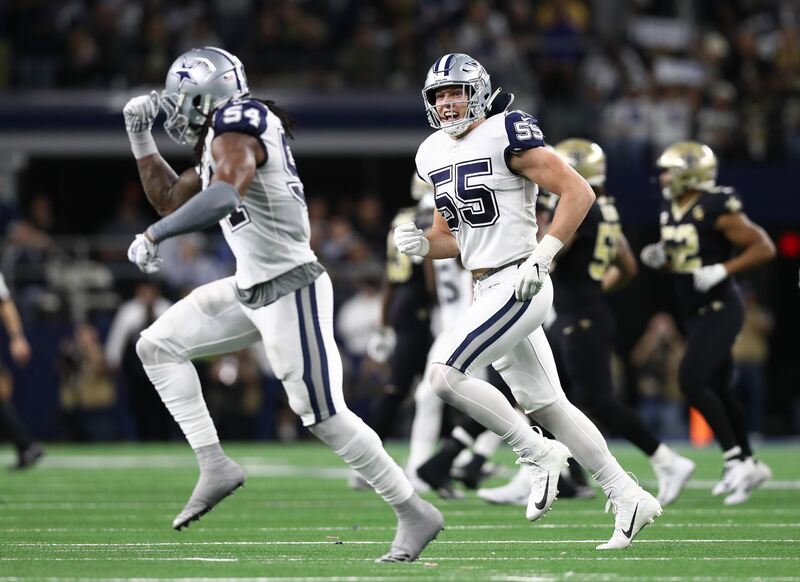 Jones, who hasn't shied away from talking about the team's intentions in public stated that any deal that the Dallas Cowboys do with their franchise quarterback would have to be "team friendly." This is a notion that has been expressed by major media in Dallas this offseason as many would argue that Dak Prescott isn't worth the projected $27-30 million he is set to receive. The problem is, when you look at the quarterbacks in that range around the NFL, it's hard to argue against him not being worth that money. There are currently four quarterbacks making an average of $27-30 million per year on contracts signed within the last three offseasons; Matt Ryan, Kirk Cousins, Matthew Stafford, and Jimmy Garoppolo. In the Spring of 2018, Matt Ryan signed a five-year $130 million deal with $94.5 million fully guaranteed. That same offseason, Kirk Cousins signed a three-year $84 million contract with 100% of the $84 million fully guaranteed. Back in 2017, Matthew Stafford signed for five years and $135 million. The most important contract to look at in Dak's negotiations, is San Francisco 49ers Quarterback Jimmy Garoppolo. Per Adam Schefter of ESPN, Garoppolo signed a five-year $137.5 million contract with $74.1 million fully guaranteed. The reason this contract stands out more than the others is because Jimmy Garappolo hasn't really done anything in the NFL. The 49ers signed him to that lucrative of deal with only 10 NFL starts in his career. I believe Dak Prescott has an argument to be paid more than Garoppolo. Dak Prescott is sitting at 48 NFL regular season starts and three playoff starts in his career. 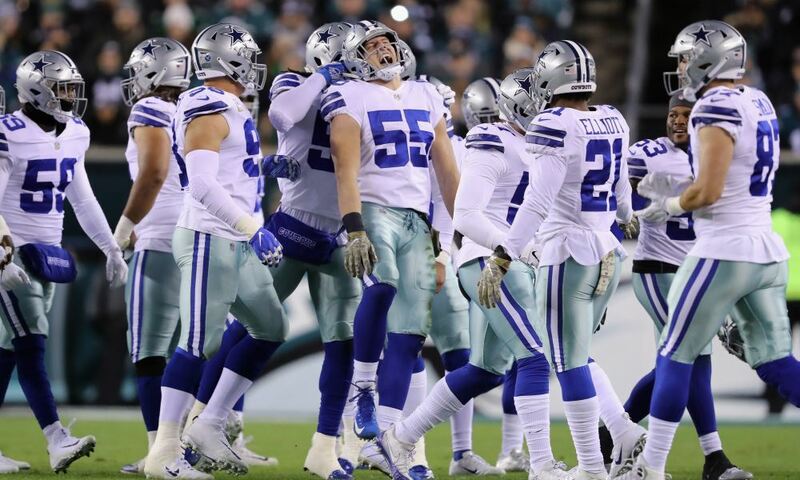 With Prescott at the helm, the Dallas Cowboys are 32-16 in the regular season and 1-2 in the playoffs, with Dak playing pretty well in the two losses, most recently bringing them back in the second half against the Los Angeles Rams and putting them in a position to have a chance at the end of the game. Again, Garoppolo has only 10 NFL starts. In three games in 2018, he threw for an average of 239 yards per game to go along with five touchdowns and three interceptions. He only completed 59.5% of his passes and the 49ers went 1-2 in those games. There is zero way to argue that Dak Prescott hasn't been as good of a quarterback or better than Jimmy Garoppolo in his three-year NFL career. Dak Prescott's 48 starts have had some ups and downs, but there's been far more good than bad for the young signal caller. In looking at them statistically, Garoppolo has thrown 2.125 touchdowns per interception, while Prescott has thrown 2.68 touchdowns per interception. This doesn't even include the 18 touchdowns that Prescott has rushed for in his career. In San Francisco, Garoppolo has thrown 1.5 touchdowns per interception. In yardage, Garoppolo is averaging 253 yards a game in his two years in San Francisco. Prescott is only averaging 226 passing yards per game, but also averages 19 rushing yards a game bringing his total yardage total to 245 per game. Garoppolo only rushes for 4.9 yards per game, not really a part of his play. 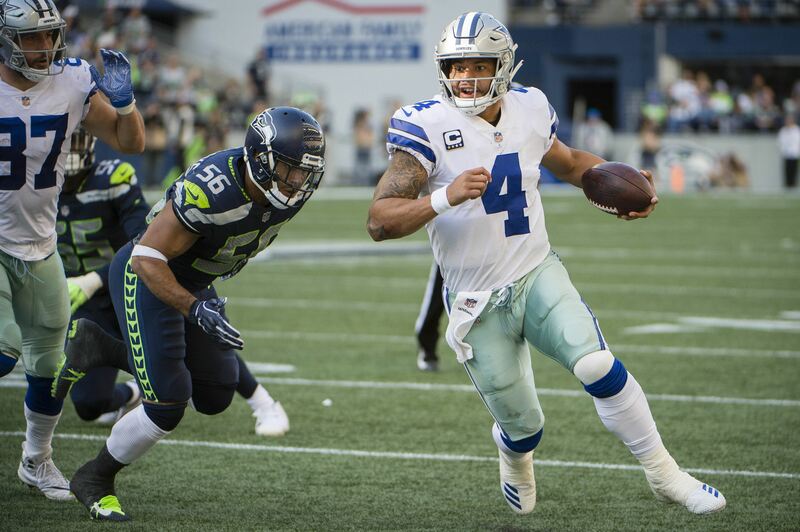 As the salary cap continues to go up and the quarterback contracts continue to rise, Prescott is a player who is going to get paid a big bag of money, despite what Stephen Jones has said. While Prescott's obviously accomplished more in the league than Jimmy Garoppolo, one could make the argument that he's accomplished more than Kirk Cousins as well. Sure, Cousins has thrown for some big numbers in his time as a starter, but as a starter, he's never led a team to the post season. The 2015 Washington Redskins had the best record of any team he's been a part of at 9-7. The Minnesota Vikings reached the NFC Championship Game with Case Keenum at quarterback and barely managed an above .500 record with Cousins at quarterback going 8-7-1 in 2018. His first season as a starter in Minnesota is generally seen as a disappointment though he threw for 4,000 yards and 30 touchdowns. Cousins and Garoppolo may look better as passers, but they haven't accomplished as much as a quarterback in the NFL as Dak Prescott has. When you factor in the intangibles -- toughness, leadership, running ability, resiliency, perseverance -- that Prescott brings to the table, it's easy to see why he's about to be -- at least -- a $28 million quarterback. This play is the reason that the Cowboys are about to make Dak Prescott one of the highest paid quarterbacks in the NFL. 3rd and 14, only up three and they called a quarterback draw. Prescott nearly takes the ball in for the score before being tripped up, but he makes All-Pro linebacker Bobby Wagner miss a tackle here on his way to picking up the crucial first down that helped seal the victory. Sure the coaching staff was being a bit conservative, but it was an excellent play call and in the most crucial time of the game, they gave one of their best players a chance to make a play. More often than not, Prescott has put the Dallas Cowboys in a position to win football games. His play in the second half of the playoff games against the Seattle Seahawks and Los Angeles Rams are what Dak Prescott is about. He doesn't let a bad snap, bad drive, or bad half get to him. He almost always finds a way to put the team in a position at the end of the game. Anything out of the Dallas Cowboys' front office about Dak Prescott negotiations needs to be seen as negotiation tactics. The Cowboys plan on paying him. When you find a franchise quarterback, you pay them. Good negotiators never let on how much they are willing to pay for a product or a service. Stephen Jones isn't going to come out into the media and proclaim they're willing to give Dak Prescott $27 million, because then Dak can up his asking price. That's how negotiations work. Franchise quarterbacks in the NFL get paid a lot of money and Dak Prescott is a franchise quarterback. 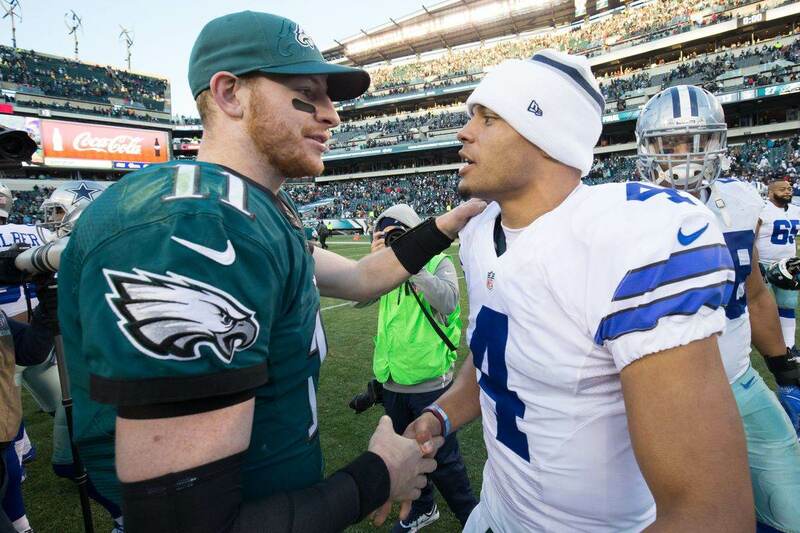 At the end of this, both the team and Prescott, will come to an agreement that will pay Dak Prescott a stacks on stacks on stacks of money over the next five to six years as the face of America's Team. And the front office will watch Dak Prescott help the Cowboys stack wins on wins on wins.